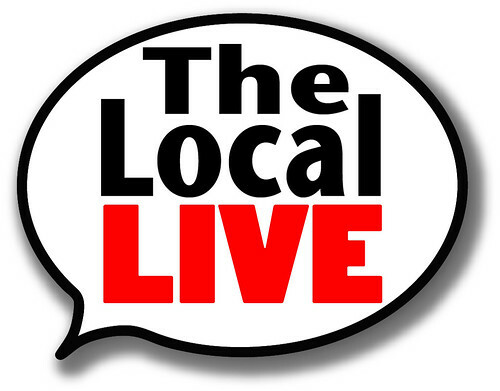 It is a pleasure to serve the Mamaroneck and Larchmont community by creating and producing weekly The Local Live, your community news show. This video shows what we are, what we do and how we do it. We have come so far that I don’t want this to be over. It is hard to think that we produce this show only with budget for my own salary. I am a part time employee and I invested more hours than what I have to in order to built the roots of a strong local news show. My work and the work of our volunteers have recently being recognized by the Alliance of Community Media. We got great reviews of our work. News directors and producers from other public access stations were amazed on how much work we produced with no money. The Local Live has now become part of my personal journey. LMCTV has allowed me the opportunity to touch people’s lives not only volunteers but also members of our community. Today, at our coverage of Small Business Saturday in Larchmont I saw Kayak, one of my students at Chattsworth LMCTV After School Video club, who is probably 10 years old by now. He was selling bracelets to help the victims of the Paris attacks. Right away, I knew what I had to do. So I gave Kayak the microphone and we started recording. Watching him reporting and being so comfortable in front of the camera made my day. That’s just one of the many stories I have. That’s the gift LMCTV has provided me. As I said at the AMC conference, when I came to this country all what I dream of was working at CNN and I did it. But those LMCTV stories I keep with me, the many fun anecdotes with my crew, the success stories of my volunteers now working on a TV network. That’s what makes working on a public access station everything. If you reach reading till here, I want to thank you for all your support and I encourage you to get involved. Help me keep teaching volunteers to make TV. Go to lmctv.org and contribute. Your donation is vital for the continuity of your community news show, The Local Live. The Sandbox Theater stages the Nutcracker starting on November 21st like you have never seen it before. The production is a unique spin on a holiday favorite. It’s a very funny musical theater and stars local children and adults. In honor of Veterans day the Local Live visited ECAD. ECAD stands for educated canines assistance dogs. The organisation educates dogs to help people with disabilities. The project Heal is specialized on veterans living with physical injuries, Post Traumatic Stress Disorder (PTSD), and/or Traumatic Brain Injury (TBI). The dogs can help ward off panic attacks, provide a physical barrier in public places, and/or provide mobility and retrieval assistance. We Celebrate Our 2 Year Anniversary With A Regional Recognition! On behalf of LMC and the production crew of the Local Live, we would to express our condolences, and our solidarity with the French-American School of New York Community consisting of 450 families of which 60% are of French origin. On Monday, Police Chief John G. Poleway discussed a recent robbery at Balloon Word, located on Palmer Avenue. The robbery occurred on October 29th. He stated that after several undercover operations involving purchases of counterfeit goods, they were able to recover more than 50,000 bootleg discs and equipment. The products were described by the LPD as “DVD burning hardware,computers and software, and packaging supplies.” Altogether the counterfeit merchandise is estimated to be worth $100,000. Felix Renaldo and Robert Toneatti were charged with Felony Trademark Counterfeiting, a 1st Degree offence. They were arraigned Friday in the Larchmont Justice Courts. Renaldo was released on $3000 bail. Toneatti was unable to make bail and was taken to the Westchester County Jail. At the Mamaroneck School oard Meeting on Tuesday, a proposal regarding a school base health center at Mamaroneck Avenue Elementary School was added to the agenda. The proposal was originally discussed in January when the School Based Health Center Task Force presented the idea to the Board. At the time, a decision was made that Superintendent Dr. Shaps would find an objective third party professional to conduct an assessment regarding the healthcare needs of children at the school. Discussions and comments regarding the Open Door Assessment Proposal from both the community and the Board took about an hour. Ann Lou, the president of the School Board stated that the Board will look over the proposal of Center of Health Analytics again carefully before making a final decision. Observations were made by residents regarding the timing of the assessment to get a consistent date of the of the opening of the new Open Door Location, which is currently two blocks away from the school prior to any assessment. Remember to log onto http://www.lmctv.org to watch the municipal and school In our Round Table Discussion, Mike Witsch and Rob Moretti spoke with Mamaroneck Field Hockey Head Coach, John Savage, Assistant Coach, Tricia Miller and senior co-captain, Grace Fitzgerald. The team recently won its second NY State Class A Championship. The team finished this season with 20 wins, 1 loss and 1 tie. The championship game was played in Binghampton, NY.